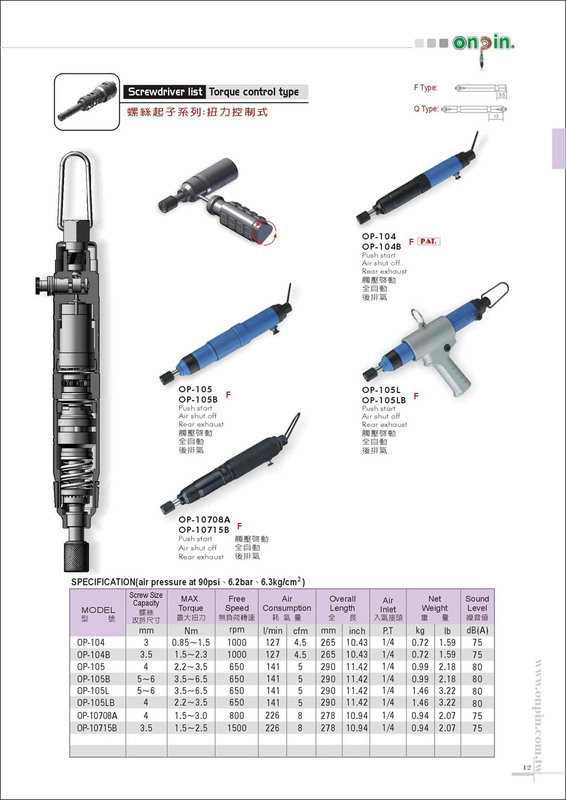 Air Screwdriver - Torque control type (OP-104, OP-104B, OP-105, OP-105B, OP-105L, OP-105LB, OP-10708A) - Hong Bing Pneumatic Industry Co., Ltd.
‧With push-start device, all ports working automatically while reaching the torque. ‧Rear exhaust, low air consumption, and energy saving. Apply to release or fasten heavy-precise screws. Apply especially to inducstry assembly lines such as computer, instrument, and electric.